1) leafy crops such as alfalfa call for protective conditioning . the aim is to crush the stalks without destroying the leaves and thus wasting them . 2) The durable , polyurethane V-shaped interlocking rollers crush the hard stalks while protecting the leaves . 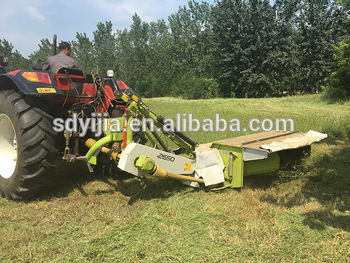 Looking for high effiency disc mower (84332000)?